Connect the Dots Ginger | Becky Allen: Black Friday Special! Are you ready to amp up your results? I am offering a PERSONAL promotion from today through Monday evening, (Monday, November 28 at 11:59pm) that when you order a workout program and Shakeology combined together (challenge pack) I will send you a FREE COPY of FIXATE. The perfect companion to the 21 Day Fix container program offered with most of the workout programs! 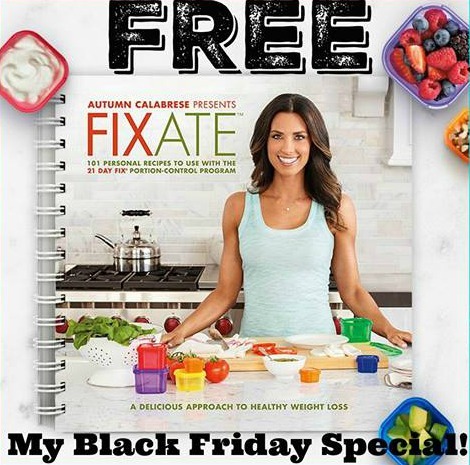 Fixate is Beachbody's first cookbook with all the nutrition info included, container breakdown and macros as well. There are options for paleo, vegan and gluten free as well. 101 recipes included and the perfect fit for yummy easy to make recipes. CLICK HERE and then click on CHALLENGE PACKS in the left sidebar! Want help deciding which workout is the best fit for you and your lifestyle? Please send me an email so we can chat and get you set up with the perfect workout to fit your life!